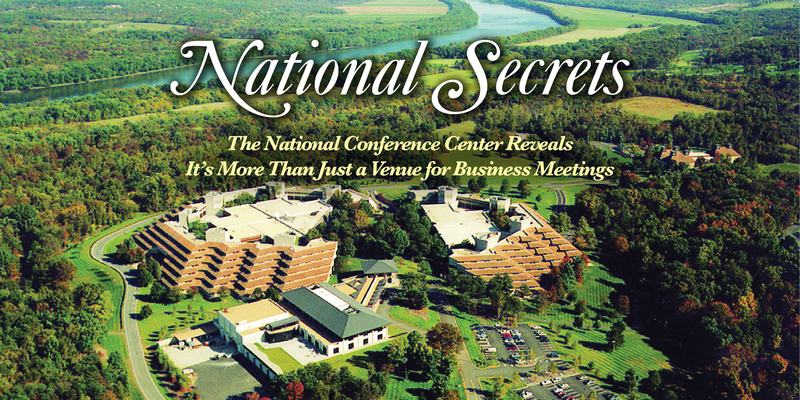 The National Conference Center may be the biggest secret in Loudoun County. Although its been there for 40 years, is the largest hospitality employer in the county and hosts hundreds of events each year on its 65-acre campus, it seems many people don’t know about it and all that it has to offer. The National is one of the largest and most comprehensive learning and training facilities on the East Coast with 265,000 square feet of classroom or function space, 917 guest rooms, full service food and beverage facilities, and a 14-element challenge course. It won seven industry awards last year, including Partner of the Year from Loudoun County and Hotel of the Year from the Virginia Restaurant, Lodging & Travel Association. You can reserve a block of rooms at the National even if your event is being held elsewhere. Although The National does host large meetings and conferences, it also accommodates smaller groups and is available for events such as weddings, holiday parties, corporate picnics and community events. The West Belmont Place Event Center at The National boasts the largest ballroom in Northern Virginia at 16,000 square feet and was the site of the Marine Corps University Ball last year. It also has been the choice for high school, college and family reunions as well as weddings—particularly large cultural weddings that include multiple events over several days. In addition to the ballroom and meeting spaces, The National has abundant outdoor areas for events, including spacious terraces, patios, courtyards and the West Lawn. Two fire pits and comfortable outdoor furniture make the outside spaces comfortable all year round. In addition to its event spaces, The National has more than 900 guest rooms. You can reserve a weekend room block even if your event is being held somewhere else. Having a vineyard wedding? Book a block of rooms at The National, and your guest accommodations can be arranged in pods around common areas. Accommodations include flat screen TVs, free Wi-Fi, full service hot breakfast buffet, ample free parking and access to the fitness center. A system of tunnels connects the buildings. In bad weather, attendees don’t need to take their coats or umbrellas to go from one event to the next. The Black Olive Bar & Grill, a large sports bar, is located within The National. Members of the community are invited to join the Black Olive Club. The free membership gives you entrance to the bar, where you can watch sports on one of the 16 large TVs, enjoy live music, professional DJs, karaoke, games, local wines, craft beer and a hand-crafted seasonal menu featuring appetizers, sandwiches and light entrees. Throughout the year, The National’s management invites members of the community to events on the property, including an Easter Brunch and Breakfast with Santa. The staff also hosts block parties in the summer with live music, local wine and beer, and food from local restaurants and food trucks. There is no entry fee, and food and drink tickets may be purchased at the event. You can watch a game and enjoy great food with your friends at the Black Olive Bar & Grill at The National. The next block party will be on September 21 and will have an Octoberfest theme. For details, go to conferencecenter.com or visit The National Conference Center on Facebook. The National has forged a partnership with Loudoun County Public Schools (LCPS) to support its programs. The Riverside High School culinary program holds a competition each year, and the winning students prepare their recipes at The National for parents, teachers and other invited guests. The National also participates in LCPS’s program called Project Search. As part of the program, challenged young adults who have aged out of the school system participate in job training at The National. They rotate through different departments where they are coached in the job skills required to work there. The National has hired six Project Search student in the past two years while others go on to find hospitality jobs elsewhere in the community. Large corporations and small businesses, associations, nonprofits, military and government agencies all hold events at The National, including meetings, retreats, conferences, conventions, training and educational programs. It’s also a popular facility for team building events. The staff at the National develops team building experiences on the challenge course, or they can arrange something less physical like a wine tasting or culinary class. Companies choose to have their picnics at the National and take advantage of the challenge course or other activities such as corn hole or badminton. It’s not just for big meetings. The National can accommodate groups from 18 to 1,800. The National’s 250 meeting rooms are organized into five distinct areas for maximum privacy and versatility, and sophisticated on-site technology capabilities support any type of presentation. Some groups use The National for a meeting that lasts a day. Others use it for training that lasts for months. A major telecommunications company has a multi-year contract to hold all of its training there. The National’s owners retained LaKota Hotels & Resorts four years ago to manage its day-to-day operations, and one of the biggest changes they made was to the food service program. They did away with a cafeteria-style dining facility and set up fresh food stations, where diners help themselves to hot entrees, salads, comfort foods and more. Allowing guests to control their portion sizes helps minimize food waste. Want to treat the foodie in your life to something special? Hold an intimate chef’s table for friends or family in one of the many smaller rooms at The National. The management is particularly proud of its farm to table program. The National staff often feeds more than 1,000 people per day. A large percentage of their produce and meats are sourced within Loudoun County from places such as CEA Farms, Springhouse Farms, Silcott Springs Farm and Yohanan Farms. They also purchase from local bakeries, breweries and vineyards. The National’s efforts to buy locally extend beyond the farm to table concept. This year, Vice President and General Manager Geoff Lawson challenged each department to purchase all their products, when possible, within Leesburg or within Loudoun County or, at the very least, to keep the purchase within the state of Virginia. 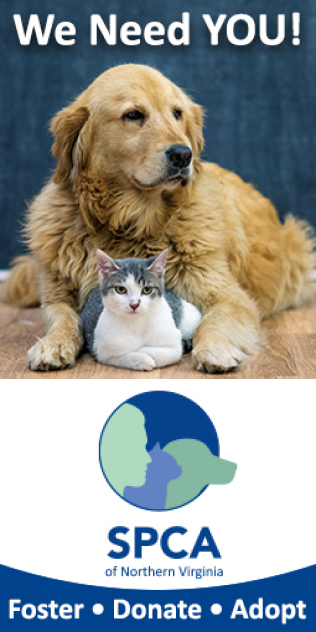 The goal is to minimize the natural resources used to get the best products and to positively impact the local community. This is just the latest environmental effort by The National, which is a certified Green Seal facility. The National is a great place to hold your organization’s holiday party. When planning your next event—whether it’s a holiday party, a training workshop, a reunion or a wedding—consider the indoor and outdoor spaces, professional services, overnight accommodations, restaurant-quality food and environmental stewardship that The National Conference Center has to offer. 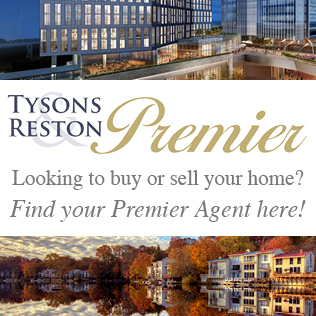 For more information, email sales@conferencecenter.com or call 703-724-5111.